Stuck for present ideas this year? A new kitchen gadget could transform the look of your kitchen – and add a little luxury to breakfast time. We’ve selected the must-have kitchen gadgets of 2018 below, to help you satisfy the aspiring chef in your life. These appliances also offer something a little different to other products on the market, so they could be the perfect option for people who are impossible to buy for. From blenders with brains as well as brawn, to timeless classics with fresh 2018 twists, you can be sure these presents will take pride of place on any kitchen worktop. There’s nothing better than curling up with a mug of hot chocolate on a frosty winter’s evening, so the Hotel Chocolat Velvetiser could be the perfect option for a chocoholic. It heats and whisks milk with Hotel Chocolat’s premium hot chocolate flakes to create a ‘barista-grade’ velvety hot chocolate. A taster pack of 10 hot chocolate portions is included in the box, containing two each of classic, milky, hazelnut, salted caramel and 100% cocoa flakes. 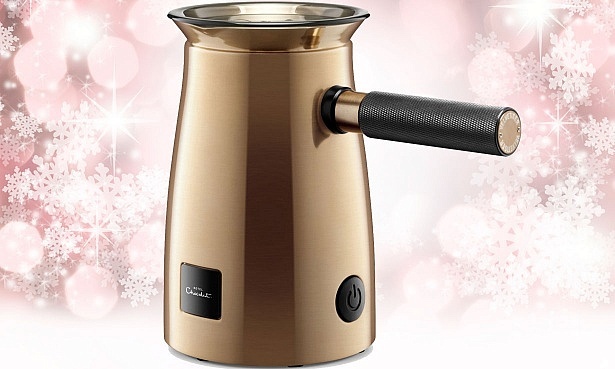 It’s available in trendy copper, charcoal and white finishes, with a textured handle. We tried it out with both standard milk and plant-based alternatives, such as almond milk, and were impressed with the smooth, rich drinks it made. If you’re hesitant to splash out, you can find cheaper alternatives in our round-up of the best milk frothers. The stylish retro-look Dualit toasters have been a popular choice for decades, but with Dualit offering a free Hotel Chocolat chocolate spread gift trio with Dualit Classic toasters, now could be a great time to buy one. 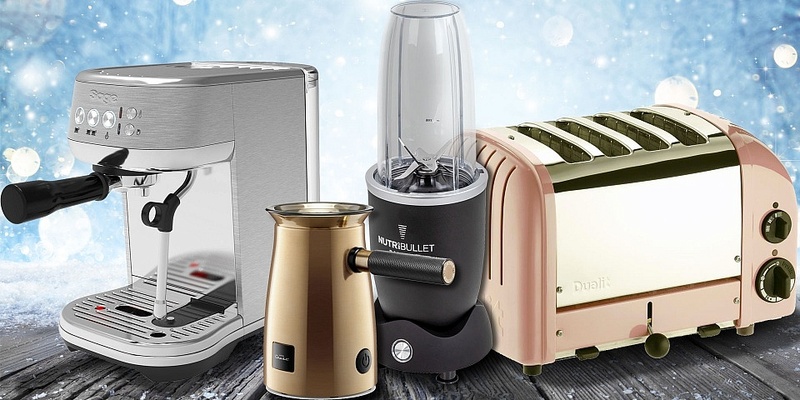 The Dualit NewGen 2 Slice (£150) and Dualit NewGen 4 Slice (£200) Classic toasters are available in a wide range of colours, including trendy copper and a limited edition Rose Gold version (£499). Are they worth the hype – and the price? 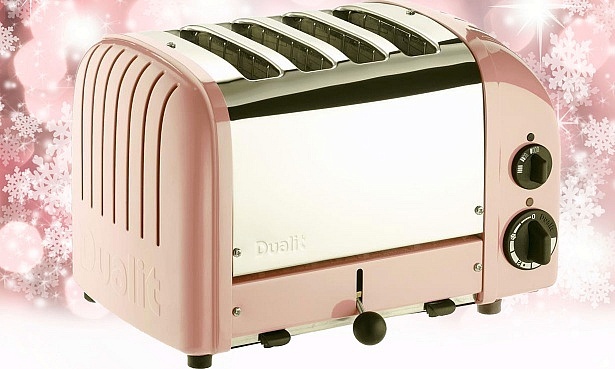 Read our Dualit toaster reviews to find out if they make terrific toast. 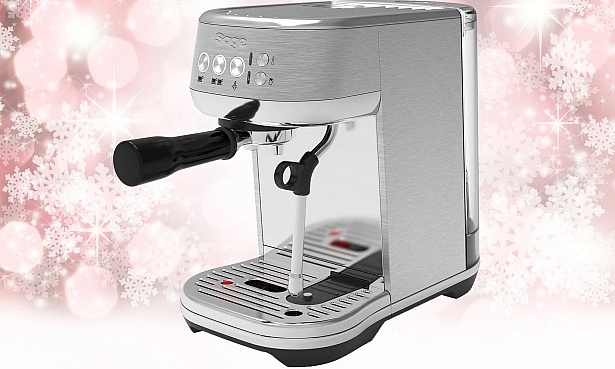 Limited kitchen space needn’t stop you from treating a coffee aficionado this Christmas. The Sage SES500BSS Bambino Plus is a stylish brushed-steel ground coffee machine that offers a lot of features in a compact package. It claims to warm up in just three seconds, and uses an automated steam wand to froth milk, allowing you to customise the texture and temperature to different levels to get your coffee just so. New ground coffee makers have been a little thin on the ground in 2018, and for those nervous about manual frothing with a steam wand, this Sage coffee maker could be the perfect solution. Get the full verdict on how good this machine is, based on ratings from our independent coffee tasting panel, in our Sage Bambino Plus review. For the best alternative and cheaper options, see our round-up of the best ground coffee machines for 2019. If you know a Great British Bake Off fan, chances are they have their sights on the mixer that takes pride of place on the Bake Off benches: the classic KitchenAid Artisan mixer. 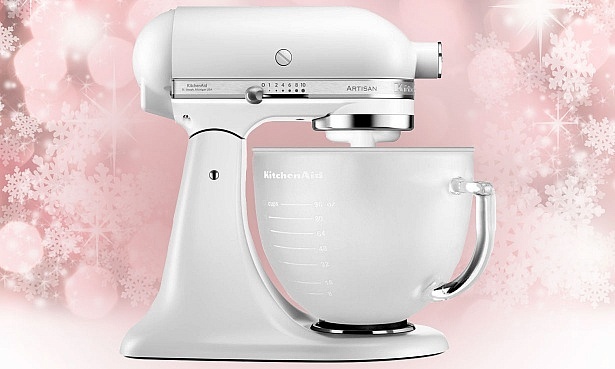 The special edition KitchenAid Artisan 5KSM156 stand mixer comes in a festive pearlescent finish. It has a frosted glass bowl, which is dishwasher, microwave and freezer-safe, and three attachments: a whisk for whipping cream and egg whites, a dough hook for mixing and kneading dough, and a flat beater for cake mixtures and frostings. There are plenty of other colours and models to choose from, so there’s something to suit everyone. If you really want to splash out, there’s a copper version (£740). For advice on getting the best deal, and making sense of the different models available, see our guide to getting the best price on a KitchenAid mixer. Make sure you also check our Kitchenaid mixer reviews to see which models we recommend. 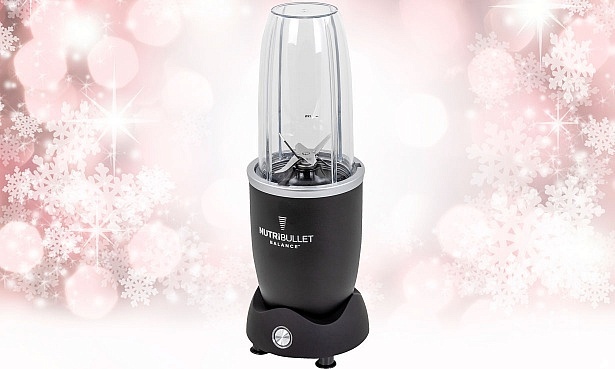 If your loved one is embarking on a health kick in the new year, the Nutribullet Balance blender could be just the headstart they need. This smart blender measures the nutritional content of your smoothie by weighing ingredients as you add them. It connects to an app on your smartphone that you can use to track what you’re drinking, find and customise recipes, set personal goals or cater to specific dietary requirements. These features put it a cut above your average blender, so it makes a good upgrade if your existing one is starting to look a little tired. You might also want to consider a vacuum blender. Simply want the best-value blender for perfect smoothies? Check our round-up of the best blenders to find the right one for you.